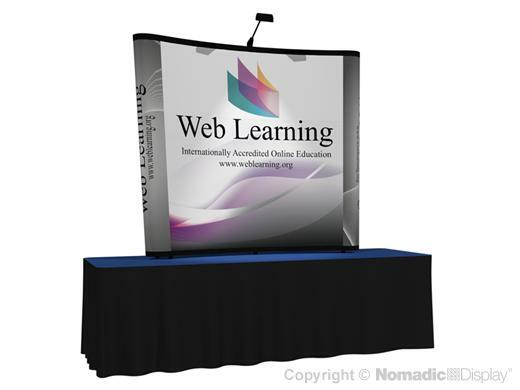 Instand table top pop up displays are cost efficient, ultra portable presentations that get your brand noticed. Our table top pop up displays set-up quickly and easily. Make your brand pop with halogen trade show lighting and brilliant booth graphics.